Last Wednesday I offered a homemade sketchbook to the 10th commenter on my blog post. Thank you for submitting comments. I noticed many of your comments come to me via email. In order for your comments to show up below in the comment section you need to actually go to my website, click on blog tab in the header and then scroll down to the bottom of the post that you want to comment on and click on the word comment. In theory this should bring up a place for you to type your comment and have it posted on the blog. I will sometimes, (Rick tells me always), reply to your comment on the blog. If I don't somehow respond, please know that I read every comment and appreciate them all and am so grateful to you for reading my blog. I try to post something of value to you in my posts except when I get carried away by a whimsical wind. Since we are talking about my blog posts, would you be willing to tell me what you find helpful in my blog posts and what types of posts you would be interested in me writing? Thanks a million in advance. 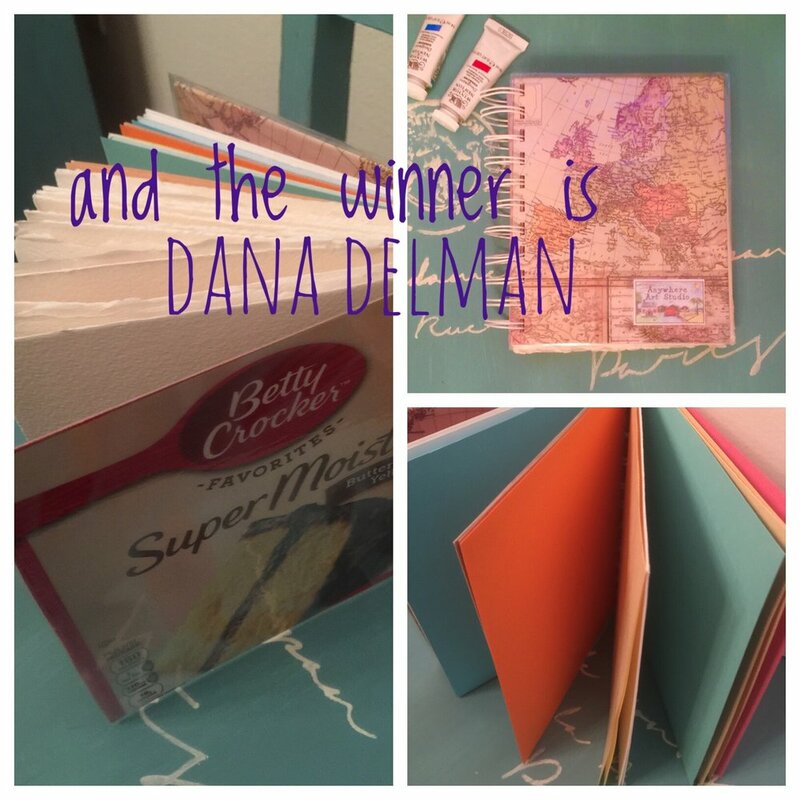 Dana Delman of Claremont won the sketchbook! It was crafted with found and salvaged materials by me and bound with my hand binder. It contains at least 4 types of paper. I am putting it in the snail mail to Dana tomorrow.